The Abundant Life is our Natural State of Being – Its Time To Reclaim It! Our Indwelling Spirit (also known as the Divine Self, Inner Self, Higher Self, Magic Presence, or Indwelling Presence) is like a magic genie. Once unleashed and activated, it makes miracles happen in our lives, raining blessings upon us that are awe inspiring to behold. Our Divine Self knows exactly what we need and when. Following the Inner Self unfailingly is a Sacred Alchemy Principle and Practice of high degree as well as an important Sacred Alchemist Key. 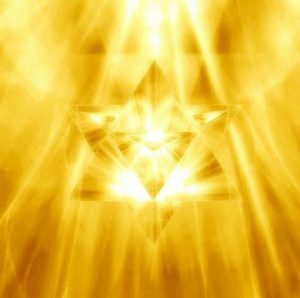 Activating the Divine Self so it is fully operational within our psyche is essential so that it can take command of our consciousness, being and world. When the Shadow Self sits on the Throne of Power within us, all manner of challenges beset us and suffering becomes a Way of Life. This has been the sad fate of most of humanity for millennia of time to where the Garden of Eden became a mythology way out of reach, while humans strive for significance through attaining possessions, over working, and adopting false personas that make them feel better than others. Life Mastery is an art few have attained, which leaves humanity living the sad fate dictated by human programs and limiting beliefs, tossed in the sea of turmoil as inner subconscious aspects create havoc in their lives, keeping them out of touch with their True Divinity, Divine Heritage, and living from their Divine Nature. When we replace the Divine Self on the Throne of Power, it becomes fully active at the Command Center of our Lives, manifesting its vision in and through us. This results in an increase in wellbeing, prosperity, and ease. The Divine Self is abundant. It is the state known as True Wealth. When we are this Living Presence, we live a glorious life with a High Destiny Fulfillment. 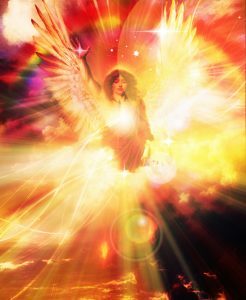 Living in our Higher Nature, we are Vessels of Light and Healing in the world, a Living Presence of Love that is helping raise our planet into an Age of Freedom, Enlightenment and Peace. Experience These Powerful Alignments and Activations now! and taking complete command of your life.